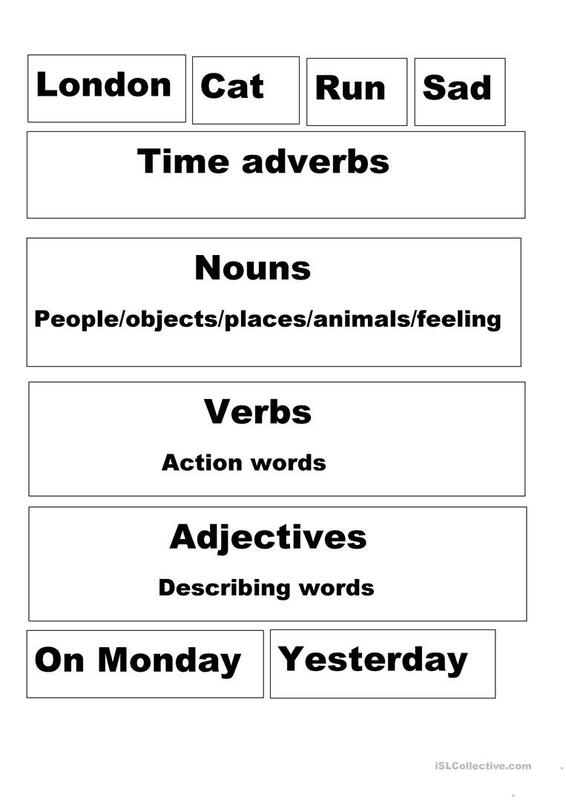 Parts of speech labels are to be places on bins or boxes.Pupils/students cut out the words and place them in the right bin/box.I am using it with my EAL pupils doing work at morphological level. 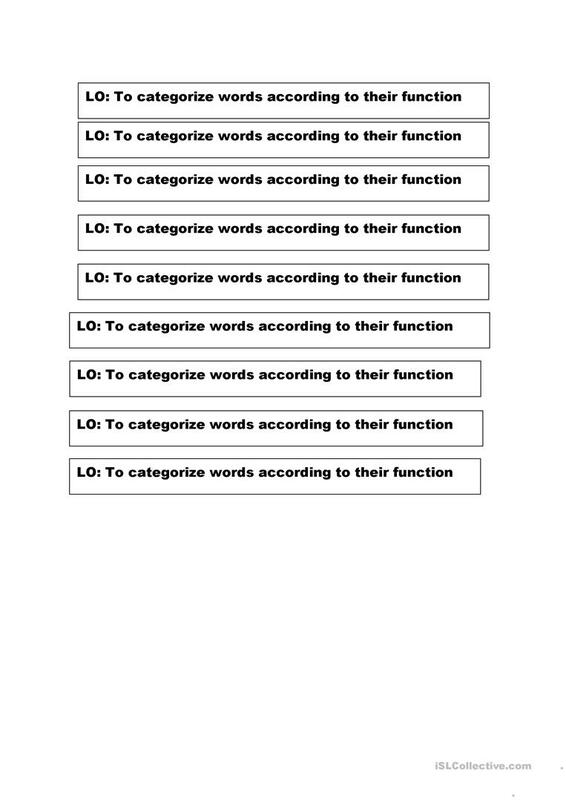 This downloadable worksheet is intended for elementary school students at Elementary (A1) level. It is great for revising Word order in English, and is useful for developing your learners' Reading and Writing skills. valisofronie is from/lives in United Kingdom and has been a member of iSLCollective since 2015-03-10 16:46:00. valisofronie last logged in on 2017-10-29 18:38:12, and has shared 3 resources on iSLCollective so far.